Are you looking for quality appliance repair in Campbell CA? You call us, we go to you. We find the malfunctioning stove parts and price them out for replacement. You get a written estimate factoring the cost of the new stove parts and labor. 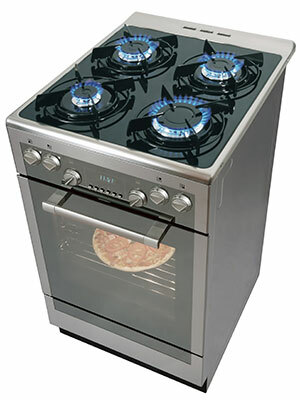 If hired, we will get the stove parts in Campbell CA from the closest and most affordable supplier. We return and get the stove fixed, that's it. We can take care of your range repair needs, too. If you need a range repair in Campbell CA, our company can rectify your issue as soon as we're given a chance. We just need to get to your Campbell CA home to diagnose the range repair problem. After we find the range parts that aren't working right, we will give you an estimate for the cost replacement. This will include the retail cost for the range parts and the cost for our repair labor. If our distributor for range parts in Campbell CA gives us any discounts, we forward them to you. We are certain you will be happy with our Campbell range repair services. Get in touch with us so we can get started with your range repair in Campbell CA today! The surface elements for your stove-top burners are managed with an infinite switch. If you have power in both the element and the terminal block, then there's a good chance the infinite switch is defective. Alternatively, it's possible the infinite switch is not defective but working wrong due to improper voltage running to it. Unfortunately, you must run high voltage tests that are dangerous when done wrong -- this is a repair that is always best left in the hands of a professional repairman due to the electrical risks involved.